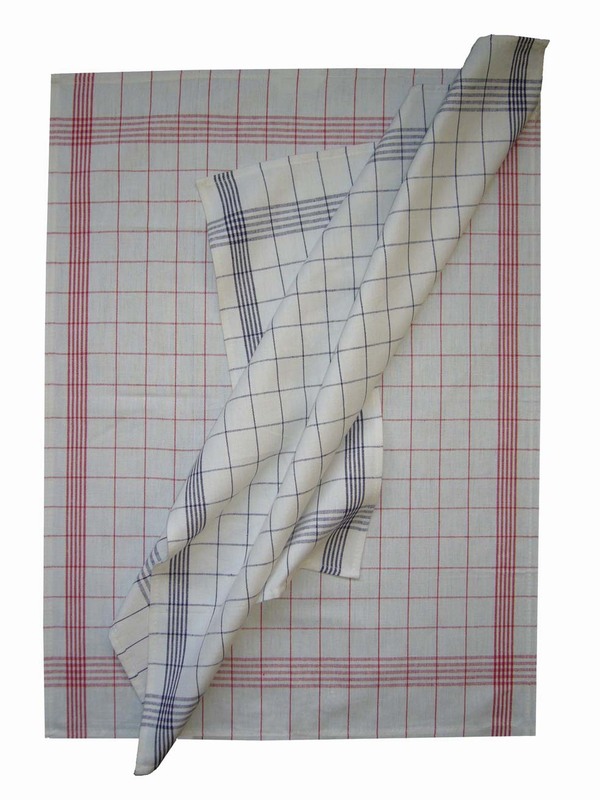 The red and blue check pattern on a white background is available in a linen and cotton fabric mix. 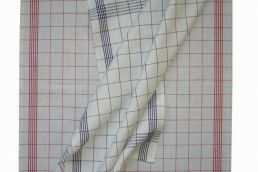 This combination makes the cloth particularly stable and less prone to lint in contrast to pure cotton towels. It is therefore highly suitable for polishing glasses. Moreover, the towels are super absorbent. 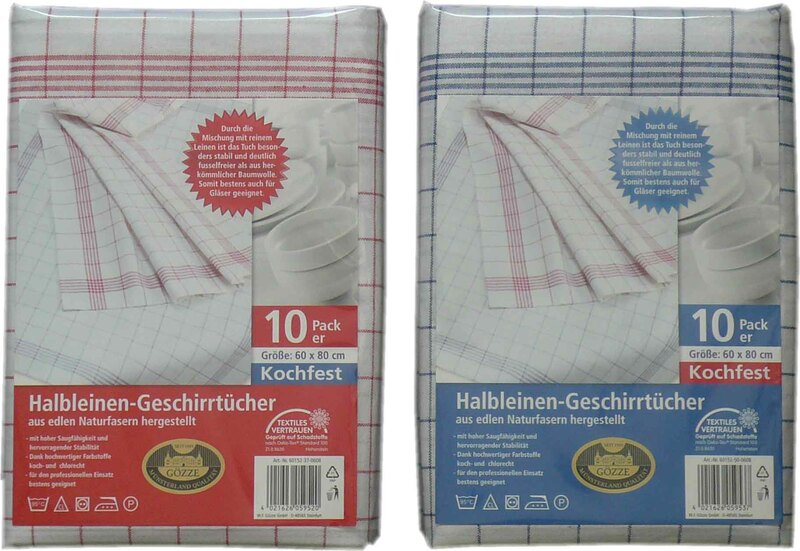 The towels, available as a pack of 10, measure 60 cm x 80 cm or 50 cm x 70 cm. 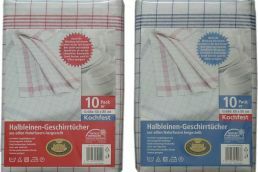 They are machine washable at 95 °C and chlorine fast. 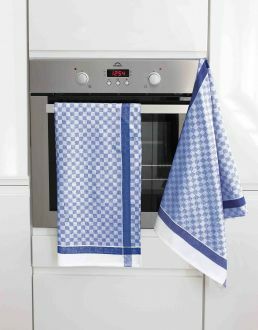 These dish towels are ideally suited for the hotel and catering industry. They have been tested for harmful substances and awarded the “Confidence in Textiles” seal.